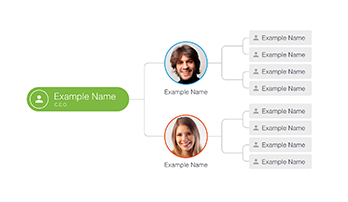 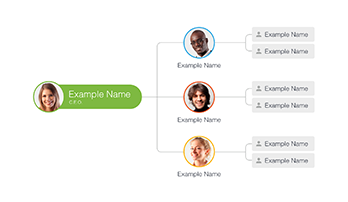 Organizational charts in PowerPoint - Free Download Now! 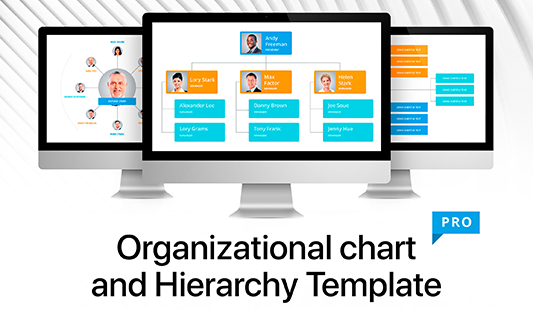 This section is comprised of a great number of templates with organizational charts in PowerPoint. 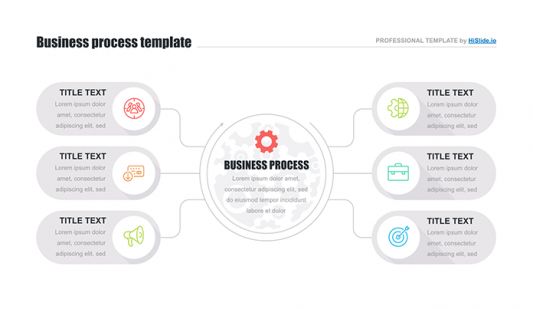 Businessmen, managers, as well as other employees, have to deliver speeches at meetings and conferences. 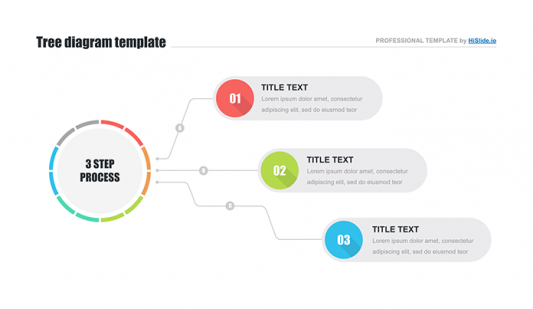 Thus, their responsibilities include presentations creation. 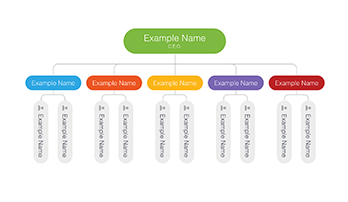 For such purposes, we offer unique premade elements with creative functional designs and a clear structure. 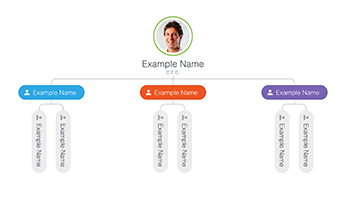 When it is necessary to make an organization chart in PowerPoint, users can find plenty of useful slides in this section. 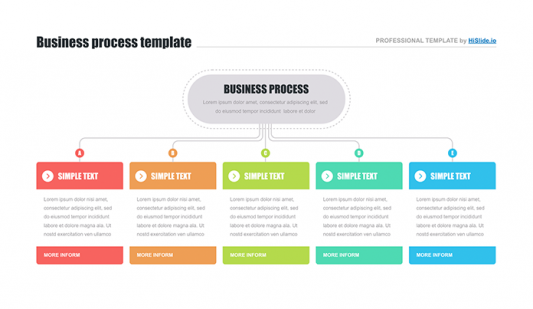 Here, we’ve gathered all specialized templates. 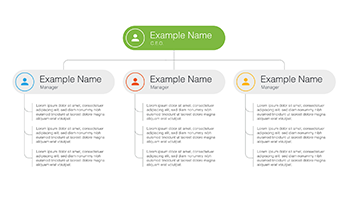 These charts can be widely used to introduce a company, speak about its stuff, demonstrate the hierarchy of employees, as well as describe the responsibilities of each member of the working team. 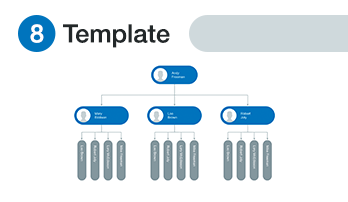 These templates are supported by all software versions, so if you want to create the organization chart in PowerPoint 2010, our slides are suitable. 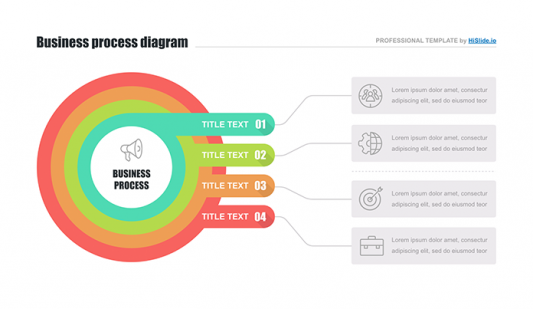 The main purposes of these premade elements are to diversify the flow of the presentation and make speeches vivid as well as clearly show any information. 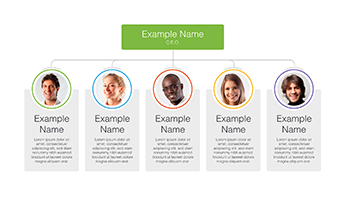 Due to a great diversity of offered elements, we are sure that every user will find an appropriate organizational chart template for PowerPoint in this section.